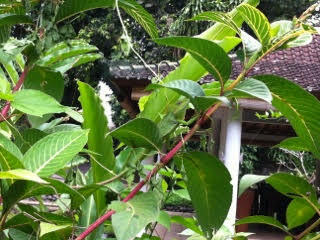 Look carefully between the green leaves and you’ll see this beautiful, nearly unrecognizable, lizard climbing in the Jiwa Damai garden. 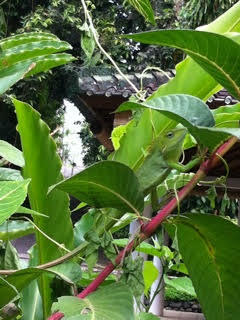 It has a wonderfully long tail and can jump from branch to branch. 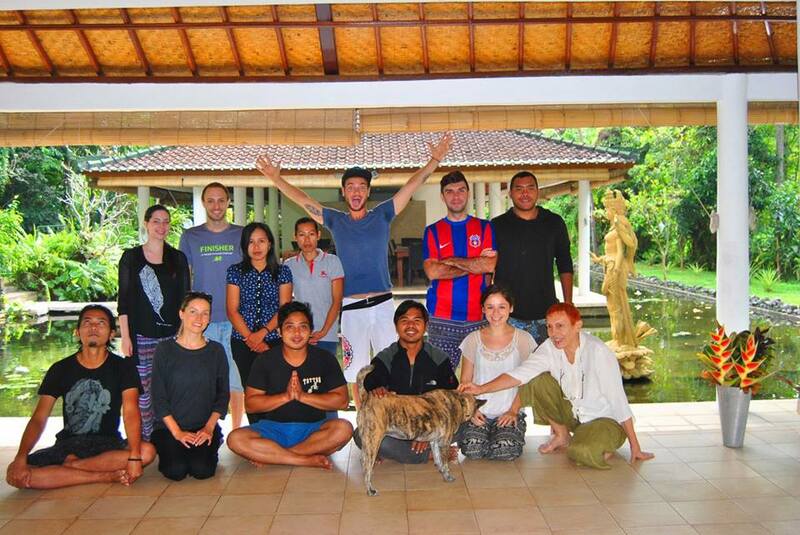 We are very grateful for the work of our volunteers at Jiwa Damai, in Bali. We appreciate their help and we hope that they also enjoy the beauty and the peace of our place. Here are the thoughts of Zane Leadley on the volunteer program.